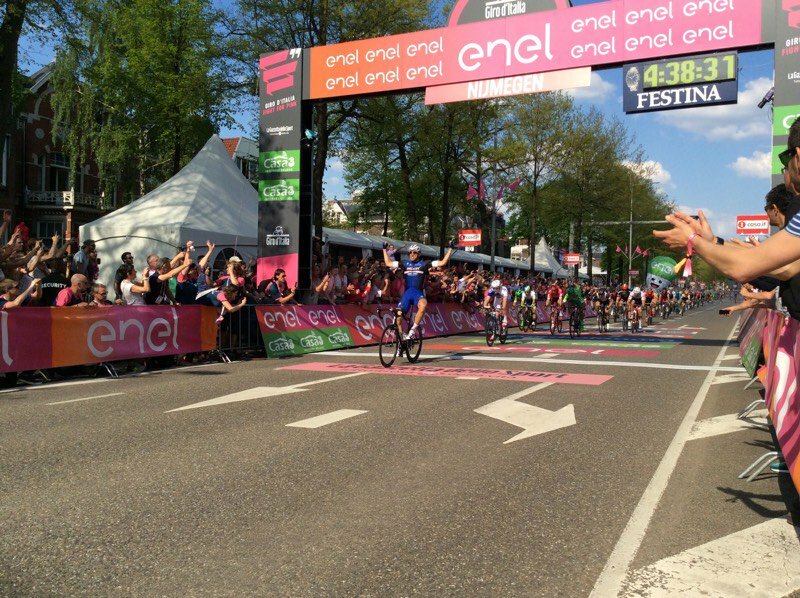 Marcel Kittel (Etixx-QuickStep) claimed stage 2 of the Giro d’Italia today, after easily winning the bunch sprint ahead of Arnaud Demare (FDJ) and Sacha Modolo (Lampre-Merida). 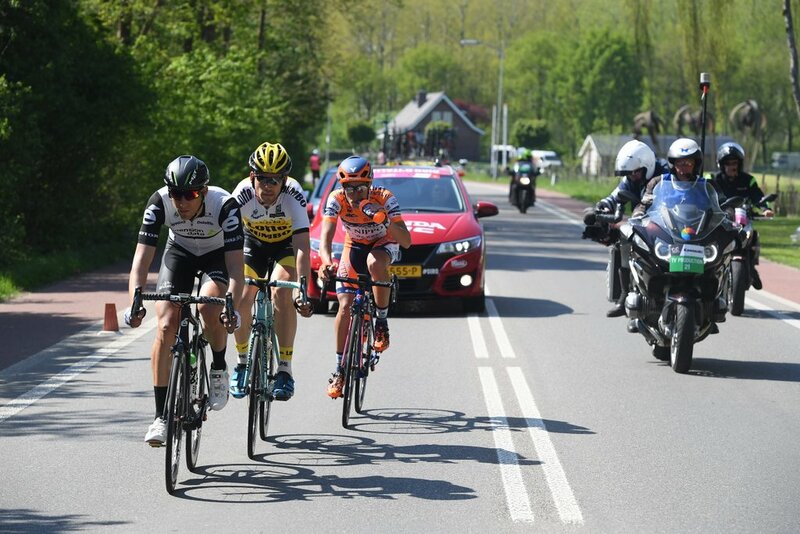 Meanwhile, Dumoulin finished safety in the peloton to retain his hold on the overall race lead, sharing the same time as yesterday’s second place finisher in the Individual Time Trial – Primoz Roglic (LottoNL-Jumbo). An early breakaway group saw Omar Fraile Matarranza (Dimension Data), Giacomo Berlato (Nippo-Vini Fantini) and Maarten Tjallingii (LottoNl-Jumbo), go on to establish a massive advantage of almost 10 minutes over the peloton, where Tjallingii succeeded in picking up the full points in both the first sprint in Malden and the second sprint at the top of the Berg en Dal climb. However, as the trio looped back around to Berg en Dal again for the first of the KOM points, Fraile jumped ahead of his breakaway companions to claim the first mountains jersey of this year’s race. In the meantime however, the escapee’s advantage had dwindled to 2:30 with 32 kilometers remaining, as they approached the final finishing circuits in Nijmegen. 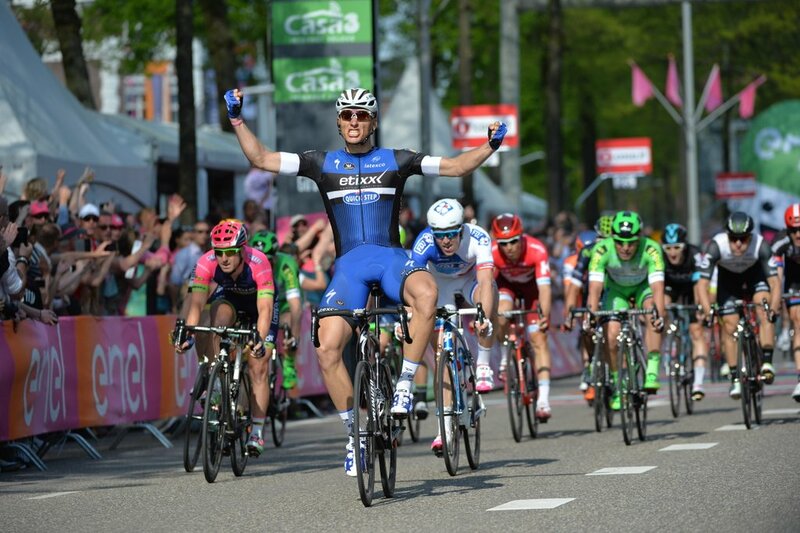 Back in the peloton, Etixx-QuickStep joined forces with Giant-Alpecin in their pursuit of the lingering trio. 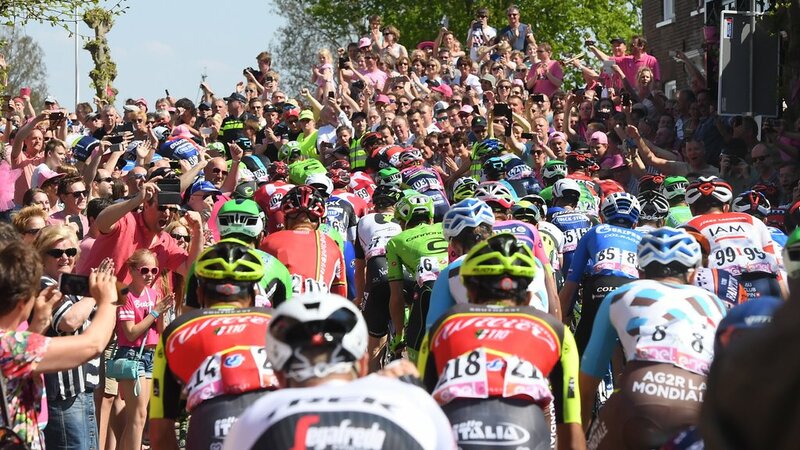 However, a short time later, a small crash briefly disrupted the peloton, ensnaring a series of riders from Orica-GreenEdge, Lotto Soudal and Cannondale. Back up front, Tjallingii and Fraile decided to bring their day long efforts to close, as the ensuing peloton had all but reeled them back in. But, a determined Berlato, chose to give it one last go with a final attack. 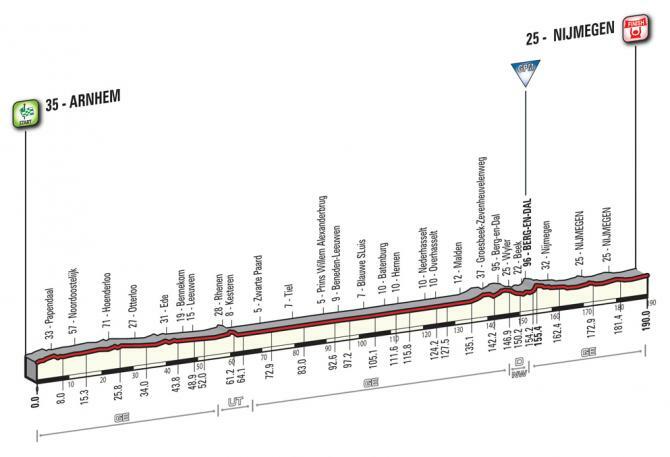 From there, the Italian rider succeeded in opening up a 50 second gap for himself during the last of the two 8 kilometer finishing circuits. However, Berlato was eventually reined in by the peloton during the final kilometer, as teams began moving their respective sprinters into place for the sprint finale.